I can't help but love clothing items which have their own movement. Be it sundresses, long tunics, pallazo pants or anything with a split, like this Yigal Azrouel blouse, which made me look like I had wings with every blow of the wind and needless to say made the shooting a lot more fun! Its pretty colours made me think of the Banane Taipei bags I bought about 3 months ago and was saving for summer, and the yellow one kind of magically tied in with the rest! Hope you like the ensemble, because I think this is one of my favourite combinations ever! I loveee your bag its adorable! Your top is just perfect for summer! Love this outfit! So perfect for summer! The outfit is perfect for summer! Love the bag and shoes! :D And I like how you didn't over-accessorize! 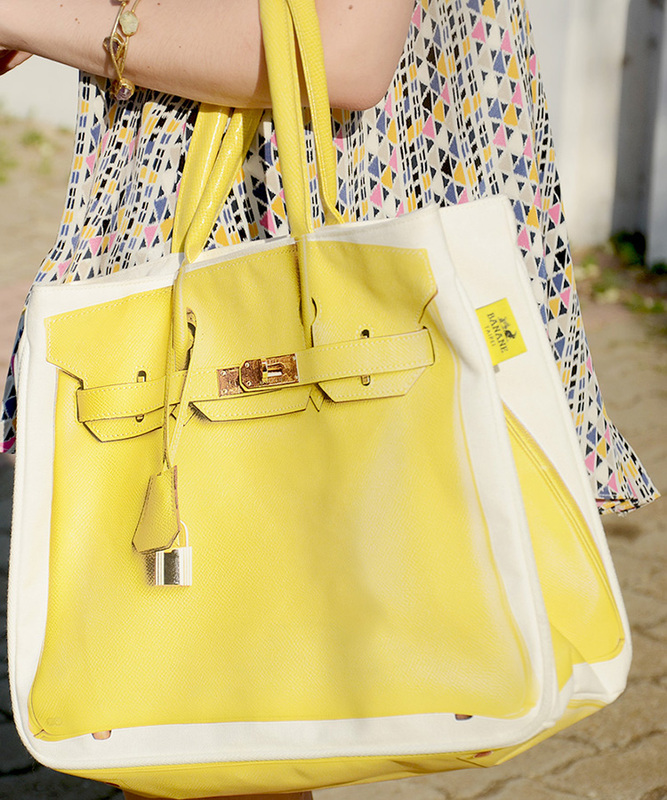 I love yellow, especially that bag. The Tunic is soo stunning! I need it in my life! The top is so adorable! Unique cuts, seems very comfortable! Love the whole outfit. Those are my favorite kind of tops as well. I've seen those bags before, but I hadn't seen someone rock it yet. Thanks for giving me an idea of how to pair it with my wardrobe.